Have a LEGO builder on your Christmas shopping list? If so, I have three book suggestions for every level of builder. Check them out! 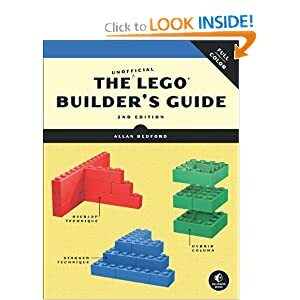 The Unofficial LEGO Builder's Guide, 2nd edition by Allan Bedford is meant for the LEGO enthusiast who is interested in deepening his/her knowledge of LEGO. The book starts with an introduction of the various pieces and their names, along with an explanation of what each piece is usually used for. Chapter 2 is filled with tips and techniques on building. Bedford explains the different ways to connect bricks, how to make round walls, how not to build a beam, along with the proper way to separate bricks. Chapter 3 describes how to create a mini-fig scale building and gives you directions for a train station that is built to mini-fig scale, complete with a list of all the bricks you will need to build it. My favorite chapters outline how to build mosaics and make LEGO games. Bedford includes vivid pictures and exceptionally clear instructions and tips. Appendix A is called "Brickopedia" and it "notes why you might have certain pieces in your collection, suggests how to use them, or in some cases, just offers and interesting anecdote about the part." As I said, this book is meant for a LEGO builder who already has solid building skills but is looking to advance. There is information on design grids and how to design your own projects as well as tips on how to think like a model designer. 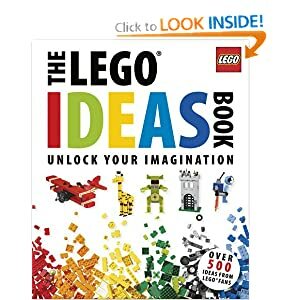 The book is fascinating and teaches some skills that are important for the builder who wants to advance beyond merely following LEGO instructions. And even kids in my LEGO Club who aren't at that level yet, love to look through the pictures and read some of the tips. The Unofficial LEGO Technic Builders' Guide by Pawet Sariel Kmiec is a thorough manual on Technic building. As the book states, LEGO Technic is a more advanced building system than the regular bricks. The three principals of Technic building are: Authenticity, Functionality, and Challenging building. 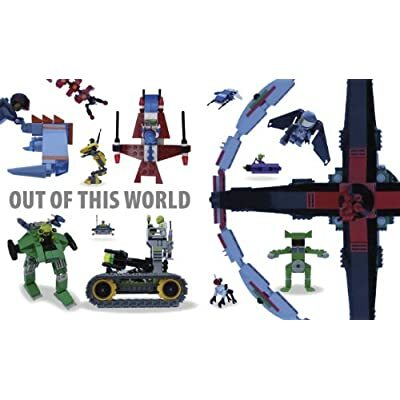 What this means is Technic creations are real-life models with working functions. As the book points out, Technic is challenging, and creating one's own Technic creations, even more difficult, which is why this book is so useful. Part One goes through the basics of building, including such topics as weight distribution, friction and traction, and rolling resistance. It also covers the various pieces and their functions and discusses axels, busses and joints. Part Two focuses on mechanics and outlines gears and power transmission basics, along with other ways of making the creations move, like chains, pulleys, levers and linkages. The author gets into even more advanced topics like motors and wheeled suspension systems. 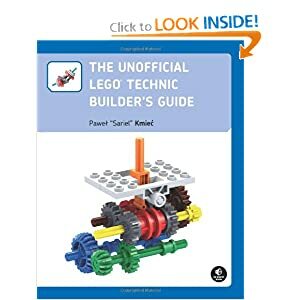 This book is definitely for a more advanced LEGO builder, but anyone who is interested in understanding Technic building should buy this book. It walks you through everything you need to know to successfully build amazing, functioning creations. The LEGO Ideas Book by Daniel Lipkowitz is my favorite of these three books, probably because it is much more basic than the other two. My LEGO skills leave much to be desired, so I need more basic instructions! This book is great for the LEGO builder who is a little younger and who wants more of a challenge than his regular sets. Lipkowitz gives tons of great tips on how to build all kinds of creations including animal houses and other buildings, as well as rocket ships. The best part of this book is definitely the pictures. I also like that it doesn't give brick-by-brick instructions. Rather, it provides building principles for how to build various structures. Kids can read the tips and follow the pictures and learn to make all sorts of original creations. Dr. Temple Grandin has spent her adult life studying animal behavior and working with slaughterhouses to make them more safe, efficient, and most of all, humane. She has designed facilities all over the world and something like 50% of beef is processed in plants she designed. Temple has won awards from Animal Rights groups and she was named as one of the top 100 most influential people by Time magazine in 2010. 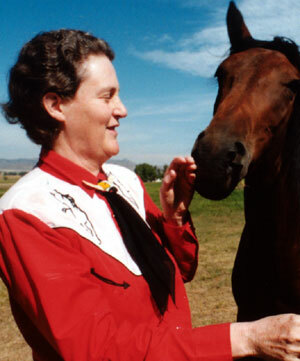 She has written tons of books and she is a professor of Animal Science at Colorado State University. I have been an enormous fan of Dr. Grandin ever since I read her story "An Anthropologist on Mars" by Oliver Sacks. When HBO did a special on her life I gained an even better insight into her struggles and triumphs. And it renewed my gratitude to Temple, gratitude for being willing to share her knowledge and experience about autism with the world. 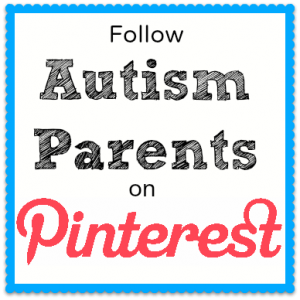 For those of us with loved ones on the autism spectrum, adults with autism are an invaluable resource. They can tell us what it is like for our children--something our kids often have great difficulty articulating for themselves. I am not over exaggerating when I say that Temple Grandin is one of my heroes. Imagine my glee when I heard she would be speaking in a college only 45 minutes away. We bought our tickets weeks ago and have been giddy with excitement. And her talk last night was even better than I had anticipated. What impressed me the most was how down-to-earth and practical her advice was. She advised parents to use kids' strengths and special interests to help them socialize. If a kid loves computer, enroll him in the computer club at school. Kids will have an easier time making friends with people while bonding over shared interests. She emphasized setting goals for the future and working towards them. When someone asked her about inclusiveness in school, she said that as a young child, it is important for a kid to be included and taught social skills. As they get older, however, more emphasis needs to be placed on preparing for the workforce, and we need to be flexible depending on our child's needs. She mentioned homeschooling and online classes as possible alternatives to mainstream school. Through it all, Temple never prescribed a one-size-fits-all treatment; instead the encouraged parents to figure out what is best for their individual children. I cannot do justice to Grandin's talk. The two hours she spoke were chock full of valuable insight and advice. I have a renewed sense of what we are doing right and where we need to redouble our efforts. I appreciate all the practical advice. I value the insight Temple provided. All of that was undeniably helpful. But the best part of the night was the appreciation I gained for Danny. Temple repeatedly said that she would never cure herself; it's the autism that allows her to think in pictures. She said things like, "Autistic people often focus on objects rather than people, but we need people like that. Otherwise we'd never have computers." Or "someone with autism would have never made the mistake that was made at the Fukushima power plant, who on earth would put emergency water pumps in a basement?" or "People who come up with new inventions don't need to chit chat with others. They're too busy." She regularly pointed out that it is the differences in the way our brains work that make us unique, and we need all types of thinkers in this world. This really resonated with me. It gave me a better appreciation for Danny and the way his mind works. For years now, we have understood that he thinks in a much different way than most. And it has astounded me time and again how his different outlook has helped him find a really unique solution to a problem. Temple's talk inspired me to continue to use Danny's passions to help him socialize and learn. And she has reminded me that my job is not to make Danny conform to society. Sure, we'll teach him manners and good social skills. We will teach him to follow rules and laws and be considerate to others. But we do not need to change the way he thinks. For more posts on fans, check out the Spin Cycle. I sat on the park bench crying inconsolably. I was too upset to go home; I didn't feel like explaining myself to Bil or the kids, so I just sat there sobbing, so angry at Danny's teachers. I had just had a terribly frustrating meeting with them about how he "couldn't focus." The teachers gave no suggestions, only complaints. It was obvious they were giving up on him for the year. The special ed teacher kept talking about how much better third grade would be. It was only March, but they were already giving up on my kid. I felt helpless and sad and hopeless, as I sat on that bench staring at the houses that lined the street surrounding the park. Trying fruitlessly to come up with solutions, I wracked my brain. But there was nothing. I had nothing at all. I was so drained and confused and angry. And I didn't know what to do to feel better. Then, I had a thought. I would go to Zumba class. That would buy me some time before I had to rehash the meeting with Bil. I just wanted to be alone, and Zumba seemed like a good place for that. Though crowded, it's dark and noisy--no need to talk to, or even look at, anyone. So, I composed myself and headed to the gym. As soon the bass tones of the music filled the room, I felt relief. As I danced, I was actually overcome with a peace and an overflow of emotion. I started to get choked up, but this time it wasn't out of hopelessness, it was blessed peace and release. I knew I still had to figure out how to help Danny, but at that moment, I could revel in the movement and how good it felt. As I cha-cha'd and shimmied, I began to feel that life was manageable again. I would figure it out. By the time the workout was over, I felt like a new woman. I have been working out pretty regularly, since my teens, in an attempt to manage my burgeoning weight. Aerobics videos, walking, biking all to reduce the size of my hips, thighs and stomach. I knew that if I ever wanted to look like Kate Winslet, I should be exercising everyday. It hasn't been until recent years that I realized exercise was about much more than my appearance and weight. It is the one thing standing between me and depression. I first realized this when I was pregnant with Tommy. My first trimester hit me hard emotionally. I was already overwhelmed with my parenting duties and the hormonal onslaught only made me more scared, lonely and weepy. I couldn't make it through the day without crying. And these crying jags were not just the kind you have from watching a sappy Hallmark commercial. Oh, no, these episodes included me feeling like things were completely dismal, that I was the worst mother in the world and I would never be able to handle another child. I had almost decided to talk to my doctor about medication when I popped in an exercise video. To my surprise, I starting smiling almost as soon as the warm-up was done, and I didn't cry once the rest of the day. After that, I knew that if I were going to make it through the pregnancy sanity intact, working out had to be a priority. That episode on the park bench last year reminded me that I have to make time for exercise. Though I rarely look forward to the actual work out, I always feel better afterwards. More telling is when I take a break for a week. All of a sudden, my emotions are more difficult to control. My stress levels raise exponentially, and I don't sleep as well. So, I try to make it a priority to work out, no matter what is happening. I sometimes feel guilty about the time I am taking away from my family, but really we all benefit from it. I'll never have Kate Winslet's body, but some things are more important than looks. For more posts about exercise, visit the Spin Cycle. Hi, I’m Bil. I like math… a lot. My degree is in Electronics Engineering and Technology, and I worked as a math tutor in college. I often enjoy sitting down with a tough everyday problem that can be solved with intuition and/or mathematical optimization (Pinewood Derby, anyone?) …anything that gives me a chance to sharpen the old math tooth again. Now that I’m a parent of three, I often think about what it’s going to take to create learning opportunities that could inspire a love (or even medium curiosity) for math and science in my children. After all, if we are to overcome the downward drag of cultural apathy for math, we should give some serious thought to how we approach these subjects at home. I can’t remember if Professor P. Papadopoulos *ever* explained to me or the rest of the class how to actually use calculus to solve a problem we might encounter. Day one, we dived right into delta process of derivatives, and it was a white knuckle race against time to finally conquer integration by parts in the second class. The “Manga Guide” didn’t do that—I wasn’t suddenly bombarded by strange symbols and expected to sink or swim while the author moved along to the next logical tier. 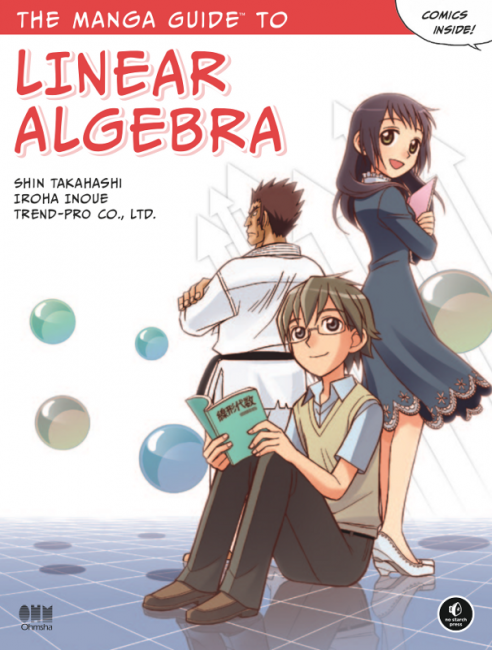 Rather, I was treated to brief, illustrated and meaningful exchanges between the two main characters, Reiji and Misa, as Reiji thoughtfully marches out the curriculum and Misa asks the questions we should all ask at some point--"What is Linear Algebra, Exactly?” As I read Reiji’s thoughtful explanation, I knew I’d found something unique and wonderful—a clearer picture of how these processes are used, and why this subject matters. It’s the little things that give us a surer footing in our learning. I have to give the writers an A+ for doing their homework with this series. You can tell they have a deep understanding of their chosen subjects because the characters are able to explain the concepts very simply to one another. By expounding the subject in the form of a student-to-teacher dialogue, the book avoids becoming an illustrated lecture—rather, it takes on a new form that gives the reader necessary mental white space. Every time Misa raises a question, you get a second pass through the lesson material as Reiji’s answer either reveals an important detail, or a glimpse at the bigger picture. It’s a very merciful, gentle style that way; you certainly won’t find yourself reading the same sentence 20 times, failing to decode it— but it isn’t a quick read, either. I found myself reading sections a second and third time, so I could give the “Manga Guide” every chance to sink in all the more. Whenever a standard textbook fails to create a clear picture of the concepts or methods, this series could be very useful in setting up a meaningful reintroduction, or a helpful first impression. Who would be the ideal recipient/reader of this book series? I'd recommend it for a pre-teen or teenager who is curious about our current body of knowledge, a school teacher (of any subject), an engineer with an action figure collection, a freshman college student that had a hard time with pre-calculus, someone who uses math and science as part of the intellectual rigor of their career, but may not necessarily be a mathematician or scientist. To say that last school year was a disaster for Danny would not be an understatement. His teachers did not understand Danny's special needs, so he ended up floundering and even failing many subjects. Unfortunately, they didn't know how to help him. All summer I prayed that this year would be better. I met with his special ed teacher and asked her--really pleaded with her--to recommend a good teacher for Danny. The teachers she picked for Danny are superb. I couldn't have asked for a better placement! Danny spends half the day in the resource room getting extra help with reading and math in a small setting with Mrs. C. He then spends the afternoon with Mrs. F in a regular ed classroom. I cannot overstate how amazing I feel these women are. In just two short weeks, they have managed to change Danny's school experience from one filled with stress and failure, to one that is challenging, but manageable. He is finally succeeding and enjoying the learning process. 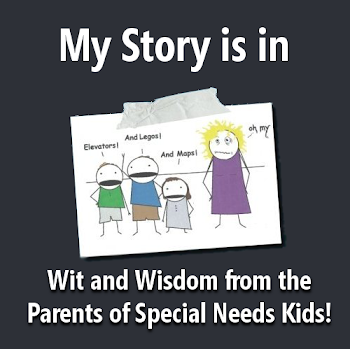 ~~When I asked Mrs. C and F to meet with Danny before school started, they were enthusiastic and willing to help. They took time from their busy schedule the day before the first day of school and gave us a tour of Danny's new school. Mrs. F even walked him through all the places he would go on that first day. They encouraged him and assured him that he wasn't the only person who was nervous. They were too. As a result, this was the first year, in the last 6, that Danny did not cry or even get misty-eyed on the first day of school. ~~As soon as we met Mrs. F, she approached Danny and shook his hand, telling him she was glad to meet him. Instead of addressing all her questions and comments to me, she talked almost exclusively to Danny. And she talked to him with respect and listened to his concerns. She never talked down to or rushed him. ositive communication from his teachers than I got all year in second grade. ~~During the call, Mrs. F mentioned that Danny struggled with his first spelling test, so she asked me if I would mind if she shortened his list. She said that she wanted him to have some success. I readily agreed, knowing that the regular list was a bit too challenging for Dan. I loved that Mrs. F was so proactive in making modifications for Danny. She didn't wait for our IEP meeting. She didn't even need to consult his Special Ed teacher. She just intuitively understood that 18 spelling words were a bit overwhelming for him. So, she asked that we focus on the first 10 words. This way, he would still be learning the same information, but in smaller chunks to make it less stressful for him. ~~His teachers are going out of their way to support Danny in his social interactions. They prompt him to talk to others and encourage him to learn his classmates' names. I could probably list about 20 more reasons why these teachers are excellent, but I won't bore you. I cannot adequately express what a relief it is to have such caring, intuitive, hard-working teachers for my son this year. I feel like this is a crucial year and these women are helping to make school an enjoyable place, rather than a stressful one for Dan. I wish second grade hadn't been such a bad experience. I wish his teacher from last year could see how well he is doing now, so maybe she'd realize she could have helped him more, but I guess it doesn't matter. The only thing that matters is that Danny is getting exactly what he needs, thanks to amazing teachers who go above and beyond the call of duty. They probably have no idea what an enormous impact they are having on Danny's life, but I hope I can somehow thank them enough for all that they are doing. For more posts on education, visit the Spin Cycle. Bil and I received Lunch Money's newest album just a few days ago, and I am already in love with it. 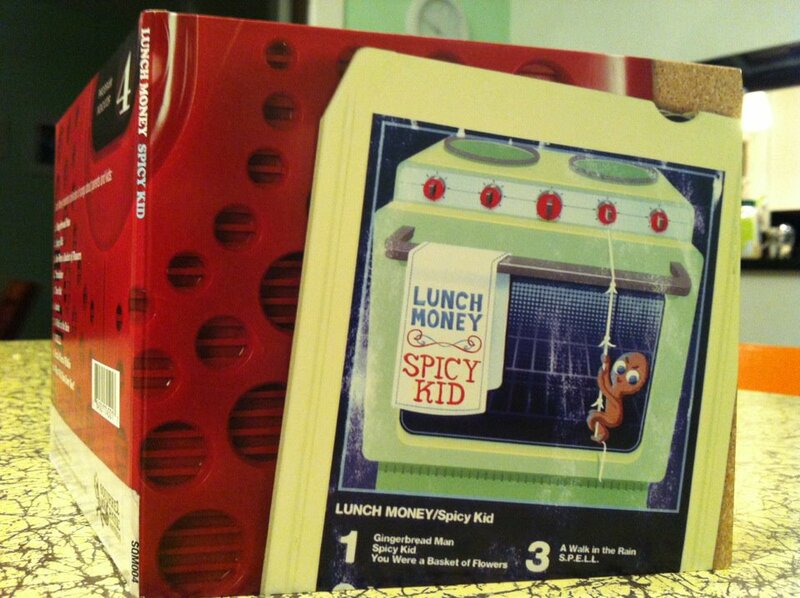 Lunch Money is, by far, our favorite kids' band. From the day that Bil heard a clip of "A Cookie as Big as My Head" on NPR 2 years ago, we knew we had found what we'd been searching for musically--a kids' band we actually enjoyed. Their latest album, Spicy Kid, showcases Lunch Money's traditional wit ("S.P.E.L.L") and inventiveness ("What Will You Ever See?") but what is updated is drummer/engineer Jay Barry's lusher instrumentation and mixing ("Gingerbread Man" and "Time Out" sound stunning) and singer Molly Ledford's expanding storytelling personas. Molly regularly draws musical inspiration from her two vivacious kids, and her lyrics in previous albums have mainly focused on seeing the world through a carefree, precocious child's eyes. The songs now point more directly to Molly's experiences as a parent, reading like excerpts from love letters to her kids (for example: "You were a Basket of Flowers," "Awake," "A Walk in the Rain"). The emotional details paint a universal mural, capturing the yin and yang of our own feelings about our children. As I listened to the lyrics, almost every song evoked such a strong memory with my kids that I felt like Molly had to be singing about my family. She is able to capture my feelings in a way that leaves me alternately smiling broadly and wiping tears from my cheeks, depending on the song. In the title track 'Spicy Kid' we get to relive the instant we saw our kid as a complete person, a person independent of our parenting and our genes. "Watching you trying to cheat at games, in the most creative ways... I'd stop you, but I'm still amazed." "Time Out" is ironically, over too quickly, it could have lasted several more minutes and I wouldn't have been begging at the stair step to be let out early. My favorite part of this song is that it somehow takes a typically unpleasant aspect of parenting (putting kids in timeout) and puts a positive spin on it. "A Walk in the Rain"is probably Bil's favorite song. He says: I can't tell if it reminds me more of some timeless bit of pop from the 4AD catalog, or Brian Burton's more recent production work with Norah Jones. To me, it's just beautiful in every sense that a song can be, and sits really well with other stuff in my rotation. "S.P.E.L.L." is a detailed, hilarious indictment of one of my own foibles-- the other day Charlotte asked me why I felt the need to spell "ice cream" in front of her instead of just saying the word. I pretended it was so Tommy would finish his dinner without freaking out about dessert, and that I would appreciate it if she didn't repeat the word either. Truth is, I honestly forgot that I can't fool Charlotte anymore, that little squirrel understands every word. A brilliant slice of parental vaudeville. "Translator" is very touching, with a killer opening line. "You ask 'Where is the bathroom?' and they hand you a balloon..." It took me back to when Danny, at age 3, wasn't talking; he had only a handful of words and wasn't able to make simple requests, like asking for a drink of water (Patty and I celebrated on the day he finally told us he was thirsty!). What's great about the song is that it doesn't get mired in feelings of frustration, but rather validates and assures the misunderstood child, that even though "No one understands you, [...] I DO." The song's parent-figure isn't wearied by the labor, "I'll explain it to them later..." knowing that while "one day you will have great conversations" that "right now I'm the lucky one who listens everyday." I think any parent can relate to this song. All children go through a phase where very few people understand them. For us, though, this song had a deeper meaning. Having a child who struggled to learn language, and who still now at 9 years old, is often misunderstood, this song is a tender reminder of how lucky we are to be Danny's translators. And its message is hopeful, because I agree with Lunch Money: Someday maybe Danny WILL give a speech that wows the entire nation! Now I'm the one who feels understood. When I listen to "Basket of Flowers" I flash back to the days I spent in the hospital after having each of my kids. I treasure the memory of the hours I spent quietly cuddling my babies with no other concern in the world, the time when I could focus solely on them and nothing else. Parents: Lunch Money is a higher form of kids' music, which makes perfect sense, because kids are a higher form of people. You can listen to Spicy Kid streamed in its entirety here. For more posts about music, check out the Spin Cycle at Second Blooming. 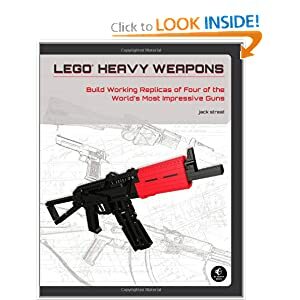 LEGO Heavy Weapons: Build Working Replicas of Four of the World's Most Impressive Guns by Jack Streat is sure to please the most avid adult and/or teen LEGO fan. The book gives detailed and precise instructions on how to build replicas of the following weapons: Desert Eagle, AKS-74U, Jungle Carbine, and SPAS 12. The best part of these replicas (well, besides being built with LEGO blocks) is that the guns actually fire LEGO ammunition! Cool, huh? Streat includes very precise information about the measurements of each model gun, what sort of magazine it includes, as well as the magazine capacity. For example, the AKS-74U can shoot thirteen 1x4 bricks. He also includes historical information about each gun, like the fact that Mikhail Kalashnikov was the original designer of the AKS-74U, and it was first used in 1947. Each section also includes subsections outlining the Design History and How it Works, which I found to be the most fascinating parts of the books. Any weapon or history buff is sure to be pleased with the level of research that has gone into the writing of this book. The instructions are very easy to follow and are slightly bigger than your average set of LEGO instructions, which is a plus. And unlike standard LEGO instructions, Streat includes some written hints and instructions along with the pictures to clarify certain points. He has also broken the instructions down into weapon parts and labeled them with titles such as "Pistol Grip Underside," "Frame Wall Right," "Barrell Assembly," etc. thereby preventing confusion. Danny has been bugging me to construct one of these models with him. Hopefully, someday soon, we'll have the time to devote to building one of these replicas, though, I don't think I'll keep it loaded! This book is definitely for those with a lot of LEGO building experience. When I received "Autistic? How Silly is That!" the cover alone was enough to draw me in; the water color painting is so vibrant and whimsical, it delights the eye. But this is not just a book with fantastic artwork. There's a valuable message lurking in its pages, a lesson that encourages others to see past a person's labels. The book's subtitle: "I don't need any labels at all" sums it up well. On each page, you see a little boy who asks such questions as, "I have brown hair. I wonder if makes me brown-hair-tistic?" The boy lists the many possible ways he might be classified--as someone who is left-handed, bad at history, but good at math, someone who loves junk food and has big feet. Each time, he wonders if he should be labeled based on those personality characteristics. The boy then explains that he has autism and how that affects his life, ending with the conclusion that if it's silly to be labeled as "junk-food-tistic" or "big-foot-orthodont-istic," then it's equally unnecessary to be labeled as "autistic." The pictures in the book are beautiful and fun--full of color and whimsy. And the message is equally uplifting, teaching kids that labels do not define a person. What I found most interesting about the book is that you never see the little boy's face until the end of the book when he proclaims, "Whew! Ridiculous! I don't need any labels at all! I'm just a typical person, with my own likes and dislikes, strengths and weaknesses, hopes and dreams, who approaches the world a little differently...but many times, better." I'm sure most kids wouldn't see the symbolism in this, but I liked how it illustrated that labels can take away from a person's identity. It's not until we see past stereotypes and labels and prejudices that we actually really see a person for who he or she is. This is a great book for kids with autism and their siblings, but I also think it would be a perfect addition to any school library. The valuable lesson in this book is important for all kids to understand. I plan on asking Danny's Sunday School teacher to read it to his class so to give his peers a better understanding of who he is. This book is available at Future Horizons and if you use the code PH, you can receive free shipping (no matter how much you spend) AND 15% off! This code can be used for anything in the Future Horizons store, including conferences, so check out all the great resources they offer. I have an extra copy of "Autistic? How Silly is That!" which I would like to give to a reader. Leave a comment on this post before Friday, June 15th at midnight for your chance to read a copy of the book. Just make sure in your comment that you leave your email address, so I have a way to get a hold of you! I hate evaluations. Just hate them. Tuesday, Danny endured 2 hours of testing with the school psychologist while the rest of us got to play in a playground on the most beautiful day of the summer. He was technically due for this testing in the Fall, but I pressed the school to do it sooner so we'd be better prepared for next school year. The psychologist decided doing it during summer break might be best and I agreed. Danny was far more cooperative than I could have ever hoped for. I expected a lot of complaining and frustration. After all, it's summer vacation. Who wants to go to school to take tests during summer? Well, the results from all the testing came today, and I'm feeling really blue. I can't quite explain it. There were no surprises, really. But it's never nice to see--in black and white--all the areas in which Danny is below average. The kid is smart. Wicked smart, but he cannot seem to express that intelligence in any way that is measurable by standardized tests. 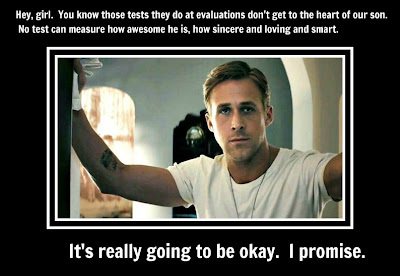 Frankly, I loathe these tests. I've never found them incredibly reliable, even when I was a teen--I happen to test pretty poorly myself, not unlike Danny. So, I'm blue. And tired. So, so tired of all these people--people who really know nothing of my son--telling me all the ways he falls short. All the things he struggles with. All the areas in which he is delayed. I'm so tired of the implication (whether intended or not) that I have missed something as his mother. That I haven't given him all he needs. And I'm so tired of all the recommendations. The lists and lists of things we should do to help Danny. Don't get me wrong. I want to help him. I really do. And we do so, so much, believe me. But I can never quite manage it all. How do I fit in all the homework and exercises that his teachers, speech therapist, occupational therapist and social worker all think are necessary? When can we just play with him rather than figuring out the therapeutic benefit of a particular activity? I am so very tired of a system that only measures my son's weaknesses, never his strengths. This system is so screwed up it makes me want to weep with frustration. And I'm terribly tired of reading the results of tests and wondering what this means for his future. Will he be able to hold a job? Live on his own? Do these results somehow indicate what his future holds? So, I'm in a funk and have no sense of humor today, even despite the delectable picture of Ryan supplied by Sunday. 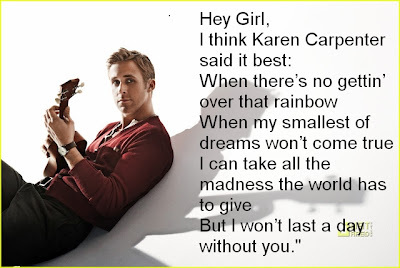 I almost opted out of Special Needs Ryan Gosling this week, but decided not to. So, here's my very un-funny poster. Please check out the other bloggers who are participating this week. Just click on Ryan below. I can guarantee their posts will be much funnier and more upbeat than mine! 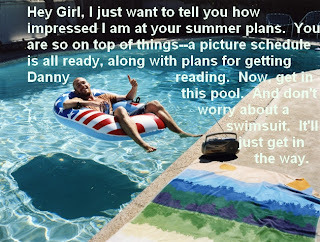 We are already two weeks into summer vacation, so it's no small accomplishment that I am actually writing a blog post right now. You know how I said I had a whole system set up, complete with picture schedule and lots of enriching, educational, learning experiences? Yeah, well, that's been pretty much shot to crap already. I think that's a record, even for me. Honestly, I'm not at all surprised. Who was I kidding, anyway, thinking I, one lone woman, could be a match for my three feral monkeys? I mentioned that I was trying to get a handle on summer vacation and someone oh, so helpfully pointed out that summer has just begun. How was I going to feel in a few weeks after many endless days of entertaining, feeding, refereeing, and wiping butts? I almost screamed in her well-meaning face. You see, my kids have thrown me for a loop. I expected Danny to be struggling with the schedule change and disruption in routine. Amazingly, he's been doing pretty well, actually. I guess he is so relieved to be done with the seriously stressful school year that he's been in a terrific mood. The other two kids, on the other hand, have been driving me batty. Charlotte has made me twitchy, because my beautiful little girl who is radiant and whimsical? Yeah, the girl never shuts up. Ever. I think I forgot that while she was in kindergarten this year. Even if Tommy is screaming and the phone is ringing and she's watching TV, Charlotte still insists on telling me a long-winded story about her teacher's rabbits. Nothing will make her stop talking. She even, on occasion, talks in her sleep. And Tommy doesn't seem all that happy to have his siblings home. He and Charlotte actually got in an extended fight the other morning. It consisted entirely of them saying to each other, "You! Stop talking!" "No, YOU stop talking!" "Be quiet, Charlotte!" "Tommy, you're giving me a headache with all your talking!" This lasted at least 45 minutes, despite many threats of bodily harm. Yes, it's gotten to me. And I don't think I'm less of a woman or mother to admit this. I will get a handle on things, but it's an enormous adjustment to all of us. So, to the acquaintance who implied I should get my crap together and get moving on a task that I left unfinished: I'm doing the best I can, okay? And I'll get to that little task sometime around September. Until then, leave me alone or I'll sic Charlotte on you. 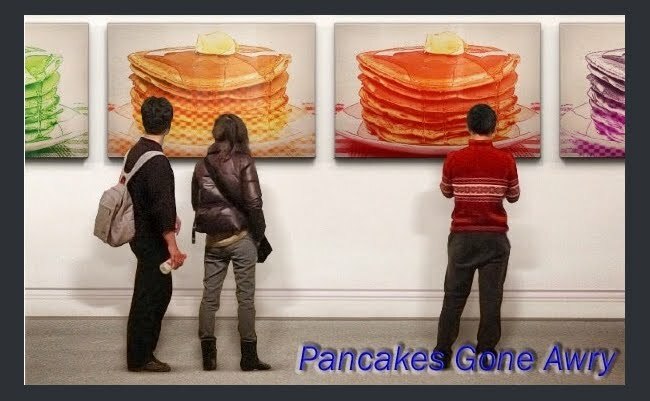 Pancakes Gone Awry to ‘I Wish I Didn’t Have Aspergers: #AutismPositivity2012”. A few weeks ago, one of the kids in my LEGO Social Club vehemently declared, "I HATE autism! I hate it! There is no cure and it makes my life so hard!" From the start, I felt a connection with B, a 13 year old who I have known for close to a year now. He hugs me fiercely whenever he sees me and he talks to me like I am a trusted friend, which is the highest compliment I can think of, really. He is kind and funny and full of life. My heart broke for B when he said that. I wanted to redirect him, make him see how wonderful he is, make him change his mind and be happy and accepting of who he is. But I stopped myself. What B needed was someone to validate him, tell him it was okay to feel that way. What B did not need was someone like me--someone who really has no clue what life is like for those with autism, despite watching my son live with it for the last 8 years--telling him how he should feel. I don't know what it is like to live with autism or Asperger's. I don't have either; I suppose I would be considered neurotypical. I have learned about autism from my precious 8 year old son, Danny, who is everything to me. Everything. I adore this son of mine, along with my two younger children, and I see how he struggles. I see how difficult life can be for him. And I can understand how much it must sometimes hurt to have these struggles. When I came across this post about the Autism Positivity Flash Blog, it really struck a nerve. Apparently, a while back, a blogger noticed that someone discovered his/her blog after googling "I wish I didn't have Asperger's." The point of this flash mob is to flood the internet with positive posts directed towards anyone out there who might be struggling and wishing he/she didn't have autism. Bloggers were asked to post a message to this person so that if anyone ever googles that term again, he/she will find post after post full of supportive, loving messages. I love this idea, because I could see my friend B googling such a term, and I want to know that there are positive messages waiting for him, if the time ever comes. I'm sorry life is so difficult for you. I am so sorry you have to struggle and that you perhaps feel alone or hopeless. I know it can't be easy. As I watch my son and the other amazing kids in LEGO Club, I see people who are so strong, so resilient and so full of life. I know that life is not easy for them. They tell me all the time about getting made fun of at school or struggling to make friends. Danny talks about how he tries his best, but it never seems to be enough for him to really succeed. He tells me that making friends at school is next to impossible. But what he and my LEGO kids don't see is that they are so unique and fun and terrific--funny, smart, insightful, straightforward and staunchly loyal people who I respect and admire so much. I wish I could make my kids see how terrific they are. I also wish I could take some of the pain away and make life easier for them, but I can't, just as I cannot take away your pain. The one thing I can tell you, though, is that you are NOT alone. There are people all over the internet, bloggers, people in chat rooms, friends on Facebook, who care. They care and so do I. So, please, reach out to someone. Find someone you can talk to, someone who will listen. And please, please remember: you are NOT alone. I think it's time I finally come clean about this Ryan Gosling meme stuff. Most of the time, I cannot come up with anything at all to put on these posters. I totally blank as soon as I see the picture Sunday has chosen, and I spend more time wiping the drool off my chin than actually composing a poster. So, many times, it is my husband who has provided the idea for my post. And this is his explanation: "This is me (bil) singing it to you (Patty) through Ryan, who is my puppet, a slave to the music in my mind." Why, no, we were not drinking tonight. Why do you ask? Here's another one for Danny--he adamantly refused to attend his second grade program last week. These things always freak me him out and I didn't think it was worth it this year to submit Danny to levels of sensory stimulation and stress that most grownups couldn't handle. So, here's what Ryan did. Isn't he sweet? 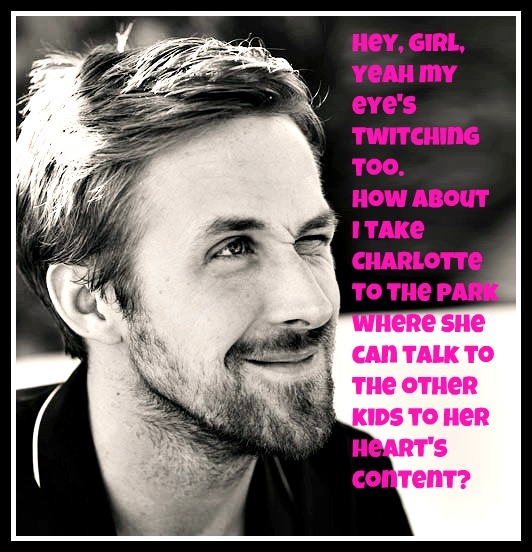 For more Ryan memes, check out Sunday's Extreme Parenthood. Click below. My parents had a pretty small selection of babysitters to choose from, and I remember the one and only night they called on the teenager next door, Todd, to watch us. I always looked up to Todd, he was tall, played basketball and football, and had a drum set with sticks and brushes in his basement. Sometimes I would go next door to watch him through the window as he played fills and did really intricate solos. The night Todd came to watch me and my younger sister, he brought over a riveting set of toys that kept us entertained for hours. They were small DC Servo Motors that could run off of a 3V battery. First, Todd showed us how to tape the wires to the motor leads and make the run, then he could pull one lead off and the motors would stop. Now the fun began-- in an awesome variation of the Spirograph, Todd taped color markers to the motor shaft, and Betsy and I would hold on to the motor and battery, holding the spinning markers to paper and let them do their thing. I felt like a wizard. This experience solidified in my mind Todd's coolness; there seemed to be nothing he couldn’t do. . Flash forward almost 20 years: I’m working on my senior project at DeVry University, with my friend Richard Frychel. 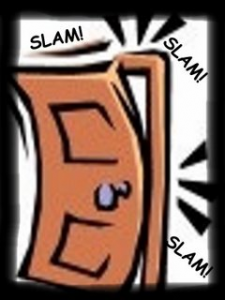 The most common senior project at the campus time was creating a Door Alarm Security system. I had already worked for three years as a Door Alarm Security technician, so this was pedestrian stuff. Richard and I were going for the *gold*, we decided we were going to make a Digital Music Synthesizer. The biggest challenge, we discovered, wasn’t in designing it, but actually being able to afford all of the components that would go into it. We had a couple of microcontrollers on hand, but none of them was powerful enough to handle everything we wanted, and a basic STAMP controller that *could* do what we wanted cost at least $100 each. There were tech suppliers that were willing to give us samples of microchips for prototyping, but no one was crazy or dumb enough to offer us samples of valuable microcontrollers. By virtue of cost alone, we were forced to abandon tried-and-true ways of developing our synthesizer, and kill off most of our senior year’s free time inventing ways to develop the design more cheaply. We pulled it off, but I can’t help wondering how much more we would have been able to accomplish in our project if we didn’t have to reinvent the wheel. Two years later in 2005, these same economic challenges would lead a group of students to develop their own microcontroller, the Arduino, (whose flagship product, the Uno, sells for under $30). 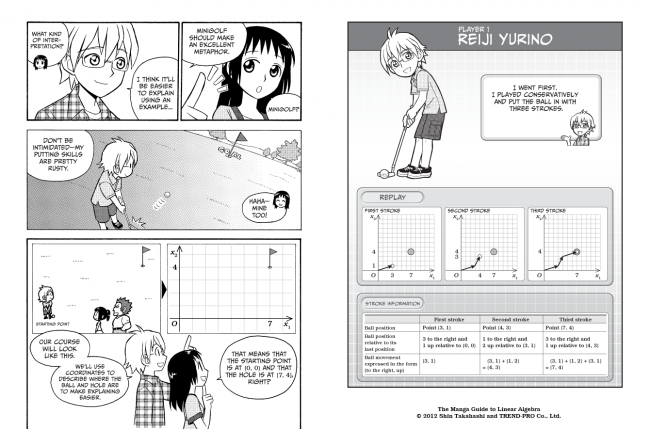 Six years and 300,000 units sold later, it was apparent that they didn’t just make a good product, their idea started its own open-source hardware revolution, complete with its own introductory comic book. There are dozens of websites dedicated to publishing open-source code and designs for a wide variety of fun-to-incredibly helpful devices (A Wi-Fi Video Camera, Wi-Fi Speakers, a Washing Machine Instant Messenger , a Laser Clock, a 3-D Printer, an Air Quality Meter , a Pet Water Dispenser, or even a Polygraph Machine) all using the Arduino board as the main building block. If you are already good at assembling electronics, you will love how this book provides all of the code necessary to get your hardware up and running quickly. If you are already good at programming, you will love how this book gives you the most pertinent information: what external sensors you need, how to wire it together, and what to be mindful of during set up. Since all of the electrical connections to the controller can be made quickly in a 'breadboard', you won’t be wasting hours sniffing solder fumes, and you can assemble and troubleshoot problems more easily. If you have no experience with either assembling electronics or programming, then I would suggest that the Arduino is one of the most accessible learning tools you could have to familiarize yourself with crafting new technology. The Ardunio Cookbook isn’t intended to teach people the nuts and bolts of electronics any more than a cookbook is intended to teach you the molecular chemistry behind food ingredient interaction… they are both all about working with the knowledge you have to produce results quickly. But I need to point out that this book isn’t just limited to the information within its pages; recipes also include a helpful section called “See Also” which provides links to online resources and videos that are intended for more in-depth learning and gleaning deeper explanations of concepts and design patterns. Margolis’ book is like a gateway to a larger, living body of knowledge—it gives you an idea of what is possible, teaches you how to do it, and gives you ways to learn more about it. We may never use the word “Arduino” like a verb the same way we use the word “Google” but it’s not hard to picture an explosion of technical competence among youth and adults, from the application of knowledge contained within this book.